Duck Dynasty books written by four members of the A&E reality show’s Robertson family have continued to rise in sales during the holiday season despite the recent controversy surrounding Phil Robertson. According to a book poll from USA Today, Phil Robertson’s memoir Happy Happy Happy jumped from No. 56 to No. 46 last week, making its way into the media outlet’s “Top 50” bestselling titles of the week ending on December 22. Additionally, Miss Kay’s cookbook, Miss Kay’s Duck Commander Kitchen, jumped from No. 30 to No. 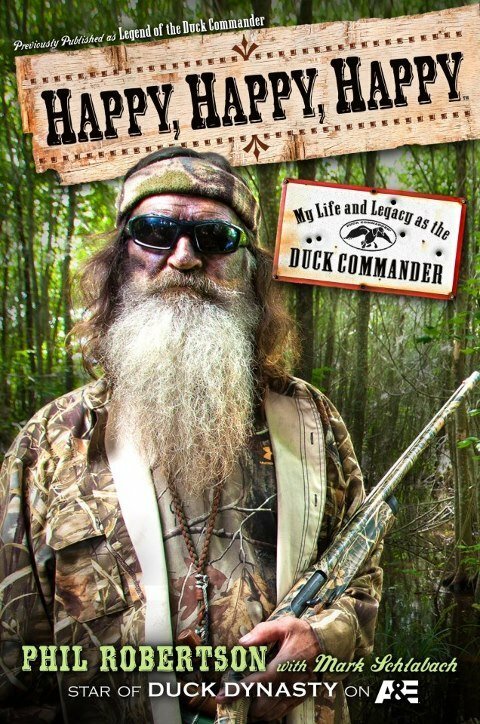 19, while Pastor Alan Robertson’s The Duck Commander Devotional now sits at No. 23, up from No. 35 and Uncle Si Robertson’s Si-cology at No. 28 from No. 33. In addition to heightened book sales, Billboard reported last week that Robertson family’s Christmas album, Duck the Halls: A Robertson Family Christmas, was on track to sell 125,000 copies in the week ending on December 22. The album, which features cameos from famous country musicians like George Strait, has sold a total of 575,000 copies since it was released in late October.